Nirasaki Distillery? Errr… never heard of ‘m. This might be one of those unknown Japanese distilleries – at the foot of Mount Fuji, the marketeers say – of which you can hardly find any info online. Does it exist? Do they make whisky? Sun Foods Company, however, surely exists and is active in the food industry since 1992, specialized in canned fruits and vegetables. Digging a little further, I found it’s this company that produces the Koshu. Hence I cannot shake the feeling that this is again just sourced whisky instead of a Japanese distillate. There are three different releases. 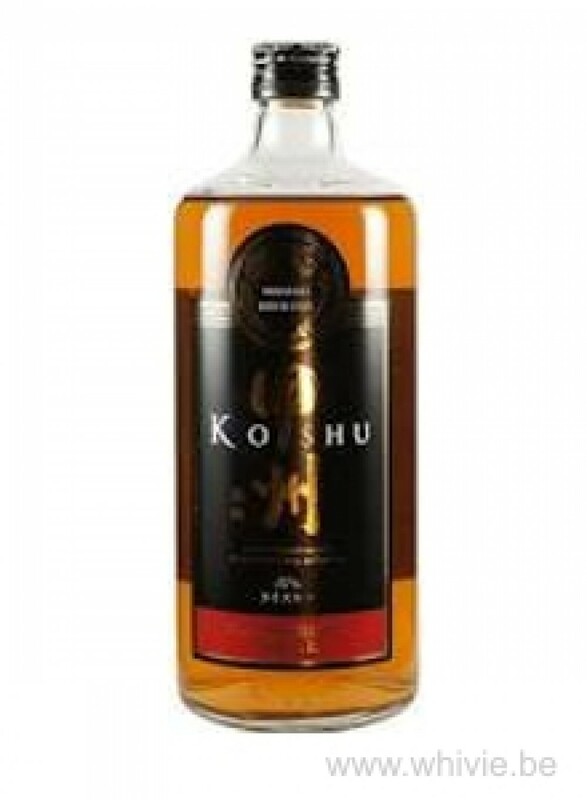 The Koshu Original, the Koshu Gold and the Koshu Pure Malt. I will try the Gold, a blend at 40%. The nose is a complete dud. Nothing going on. Just some sweet malt and caramel, light touches of wood and that’s it. Even less is happening on the palate. Some vanilla, white fruit, corn and sugars. And a chemical edge that I really do not enjoy. Oh, boy. The finish is short and totally unexpressive. This does not make me happy. Barely worth sipping on the terrace during a hot summer night or to be mixed. Avoid this. Thanks, Marc.